Facing a foreclosure is scary. You might be dealing with feelings of frustration, failure, anxiety, and a myriad of others…none of them good. The one emotion that prevents people from getting the legal help they need during the foreclosure process is shame. You might be embarrassed that you are in this situation and are facing a foreclosure, and those feeling might keep you from contacting a Bronx real estate lawyer for help. Instead, many people choose to ignore the problem and that ends up getting them in more trouble later on. One of the best things you can do for yourself when you are facing a foreclosure is to contact a real estate lawyer as soon as possible in the process. Don’t assume that hiring an experienced lawyer is an expense that you don’t need; it could actually end up saving you money in the long run and could even help you save your home. But the sooner you have legal representation, the better. Here is why. They can help you meet deadlines. When a bank files a notice of foreclosure, the clock starts ticking. You’ll have a limited amount of time to respond to their notice, whether that’s to catch up on your late payments or respond with a counter suit. If you miss those important deadlines, you might not have any recourse against the lender, even if they’ve made a violation. An experienced real estate lawyer will know when those deadlines are and can work to help you meet them. They’ll make sure your rights are protected. Even if you are headed for a foreclosure, you still have rights. There are provisions that can help you catch up on late payments, protect some of your personal belongings, and prevent the lending company from harassing you. You might not know what all of your rights are and the lending company could try to take advantage of that in order to speed up the foreclosure process or get more money out of you. A real estate lawyer can ensure you are being protected and put a stop to any mistreatment. They can help you modify your loan. A foreclosure doesn’t have to be inevitable. There are a number of programs that have been put in place since the housing crisis in 2013 that help homeowners restructure their home loans to be more affordable. This can help you catch up on your late payments and pull your home out of foreclosure. They might be able to stop the foreclosure. Whether it’s modifying the loan, suing the lender for a breach of contract, or giving you time to pull together the money you need to catch up your payments, a real estate lawyer will know all of your options for stopping the foreclosure and make sure you have the information you need to make the choice that’s right for you and your family. They can inform you of your options. Whether or not the foreclosure is moving forward, you need to know what your options are for the future. That might include filing for bankruptcy, giving up your home, make a quitclaim deed, or something else entirely. You need to know what your options are and all the potential repercussions of your choices. A real estate lawyer can help guide you through the process and achieve the best possible outcome under the circumstances. You shouldn’t go through the foreclosure process on your own. We understand that good people can get themselves into a bad financial situation, and sometimes through no fault of their own, find themselves facing foreclosure on their home. 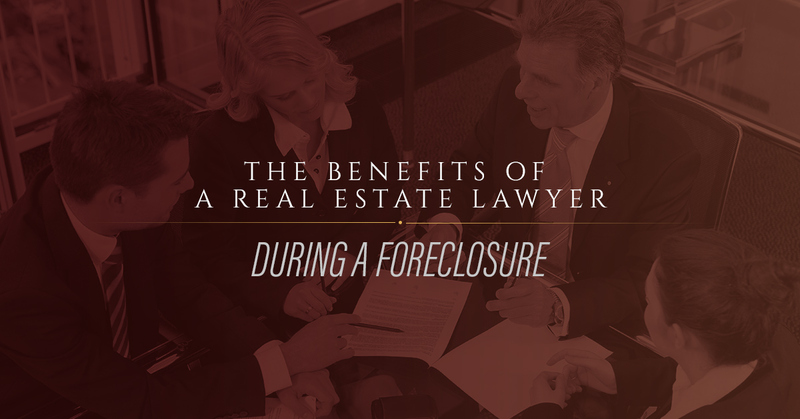 When you have an experienced foreclosure lawyer on your side, though, it can make the process less stressful. You’ll have the help you need to navigate these legal waters, someone who can ensure you are getting a fair shake, and a trusted advisor to guide you through the next steps towards getting your life back on track. If you are facing a foreclosure or think you could be soon, you need to contact the Law Office of Diron Rutty as soon as possible. Give us a call or contact us through our website to schedule a free consultation with our team in the Bronx and learn more about how we can help.